Great break through by the Microsoft is offering various online services for the customers, among that mail is the one among the important services. Some may have the both Outlook and Hotmail accounts. But they facing the difficulties to handle the two different mail accounts. 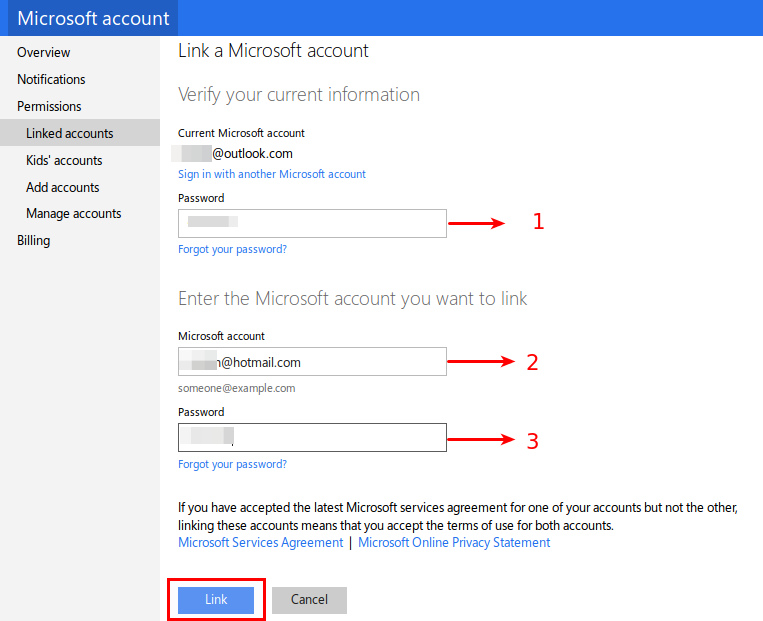 There is an option in an Outlook to link the other Microsoft account with the existing Outlook. By linking the account the users can easily switch between the account by a single click without sign-out the existing account and log-in into the required account. Just now we are step in the process syncing the Hotmail/Live account with the outlook. 2) Navigate to the Account settings by clicking on the Account Settings option available on the drop down menu appears on top right corner of the page. 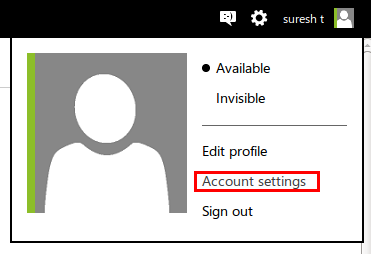 3) Now you are in the Microsoft Account page. Click on the Permission link. Now you are seeing the permission options. After that click on the Manage linked accounts. 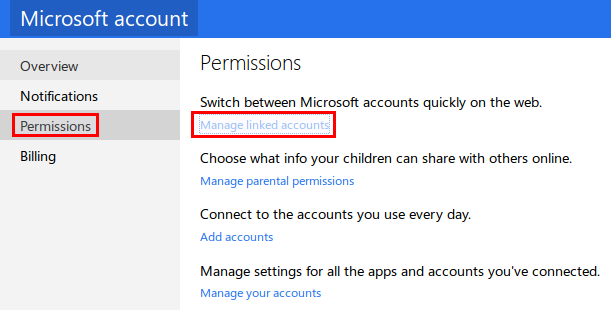 4) In Managed linked account settings the default account you login is listed below that click on the Add linked account. 5) Now you have to provide the password of the existing account and also the mail Id you want to sync along with its password. 1) Password of the Outlook account which you already loggedin. 2) E-mail address of the Hotmail account you want to sync. 3) Password of the Hotmail account you want to sync. 6) Finally click on the Link Button to finish the settings. 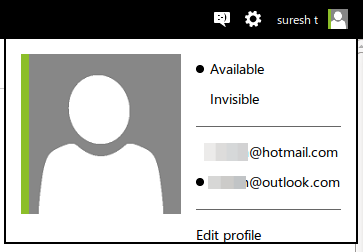 7) You can view both the outlook and Hotmail account which are synced together. 8) Now navigate to the mails home page. click on the profile picture available on the top right corner of the page for more options. There you can see the Two mail accounts there. You can switch between the both the mail by simply clicking on the required mail account. Sync all your Microsoft account and feel free from the loop of Login and log out while using the different Microsoft mail account. 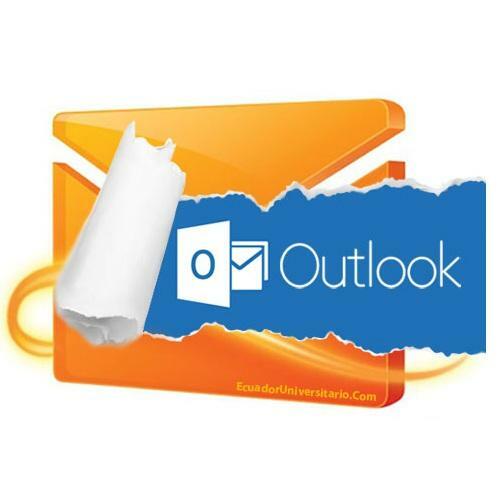 Even you can try Configuring Hotmail into Microsoft Outlook Express.